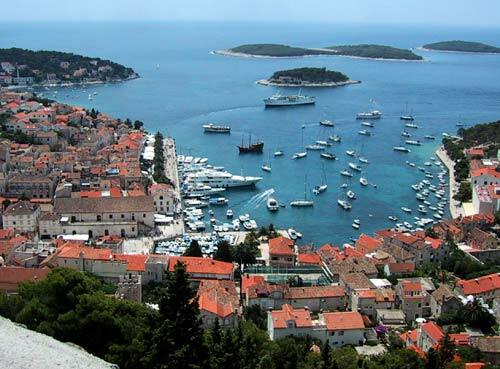 The island of Hvar is the queen of the Croatian Dalmatian islands. It has been famous since the antique because of its important strategic and nautical position, the rich of the various historical periods, the culture and natural monuments and the literature. Thanks to the mild climate, the warm winters and pleasant summers Hvar receives many guests, scientists and travellers, who are attracted by the dense mediterranean nature, rich tradition and arhitecture, and nightlife. From the sea, we get the sight of a waterfront promenade strip bordered with a row of palm trees and seven centuries old walls, overtopped by the fortresses hvarprotecting Hvar, extending downwards to the town and to the Venetian loggia. Coming from the central part of the island or using the road from the ferry harbour we arrive at the magnificent piazza, a square generally considered the most beautiful of the kind in Dalmatia, dominated by St. Stephen's Cathedral and bordered by the palaces of Groda and by the cascading stone-built houses of Burag. We advice you to visit the fortress Fortica (Spanjola), the cathedral of Hvar, the theatre of Hvar (established in 1612) with the arsenal and the Franciscan monastery. 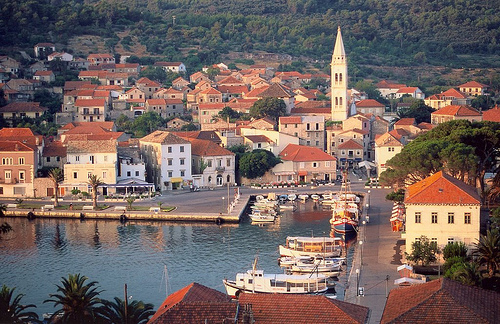 Stari Grad (Pharos) is the oldest town in Croatia. The same year - 384 b.c. when greek philoshoper Aristotel was born in Trakia, the greeks from the island of Paros in Agean sea have settled the town on the island of Hvar, and named it Pharos. Stari Grad (eng. "old town") is historical heart of the island of Hvar. The town is situated in a landscape where the blue of the deep bay touches the green of the wide an famous field of Pharos, with vineyards and olive-groves. The fields used to provide sustenance and the bay provided protection. Today, both the fields and the bay add an attractive quality to the island, in which the modern vacation sights have become intertwined with the antiquities of the town and of the island. The town is surrounded with pine tree forest and cooled with summer breeze (maestral). In the hot summer days it is one of the rare Dalmatian places where the air is fresh and the sleep refreshing. A thousand years long history of the Town has left many monuments in the urban structure of the Town. The town Jelsa is located in the middle of the island of Hvar and is mild, clean and open hearted to the guests and travelers. 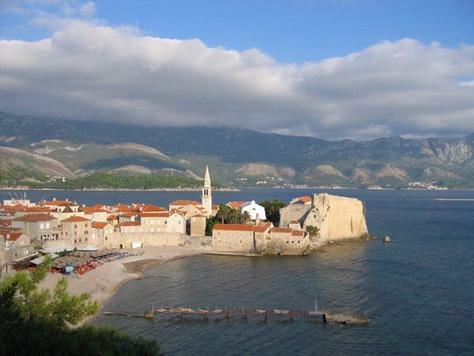 Jelsa is surrounded by the two highest mountains on the island - in the west St. Nikola, and in the east Hum. From the south side Jelsa is surrounded by mountains Vrh, Samotorac and Gozd from the north side it is protected from cold north winds by the hill Biokovo. The start of tourism on the island going back deep into the past, to ancient times and the Middle Age. There are finds of the villae rusticae throughout the field of Hvar, and also economic buildings and summer cottages. Many adventurers, ethnologists and archaeologists visited the island and researched the herbs, minerals and the antique monuments in the Middle Age. Vrboska, the smallest town on the sunny island Hvar, is special because of its geographical location hidden in the depth of the bay, the untouched pine forrrest, the cultural sights with the marks of the Gothic, renaissance and baroque style, and an architecture interwoven with narrow winding roads. Vrboska has a very beautiful little island in the middle of the bay connected with bridges, and therefore it is named Little Venice. The village has been settled since the ancient time and it developed into a fisherman's village and later into a wonderful little town. It owes its charm to the typical Mediterranean popular architecture, the proud old town houses with characteristics of Gothic, renaissance and baroque style, the sacral spirit of the ancient church buildings, but also to the luxurious modern villas. The most outstanding object of the architectural heritage on the island is the church (fortress) of St. Mary of Grace from the 16th century, built from the local people for the defense against the Turks. It is the most beautiful fortress in Croatia, but also one of the most attractive churches in Europe of that time. In the western direction from the church- fortress is the parish- church of St. Lovrinac from the 15th and adapted in the 17th century in the baroque style. The wine on Hvar is something worth talking about. One of the most famous wines is Bogdanusa, a delicious white wine that compliments all seafood dishes. There are many others such as Ivan Dolac, Zlatan plavac and Dobrogost. Hvar cuisine is like Dalmatian cuisine in general, light, prepared with very little oil, seasoned with plenty of marjoram and basil. Gregada is a well known seafood dish in which several different types of fish are prepared with potatoes. Dessert choices include gingerbread cookies and “Cvit”, a dry cake made with aniseed. Everyone knows about the wild parties on the island of Hvar however it is difficult to put into words just how much fun these parties are. The fun here never stops since it starts on the beach and continues with after-beach parties which are organized by the local cafes, and after taking a break for a light dinner the party continues until the morning and culminates at an outdoor disco club. All this takes place in the town of Hvar leaving the other places on the island free for those in search of a more peaceful holiday. While you are in the city of Hvar don’t be surprised if you run into someone famous because more and more jetsetters are choosing the island of Hvar as their holiday destination.